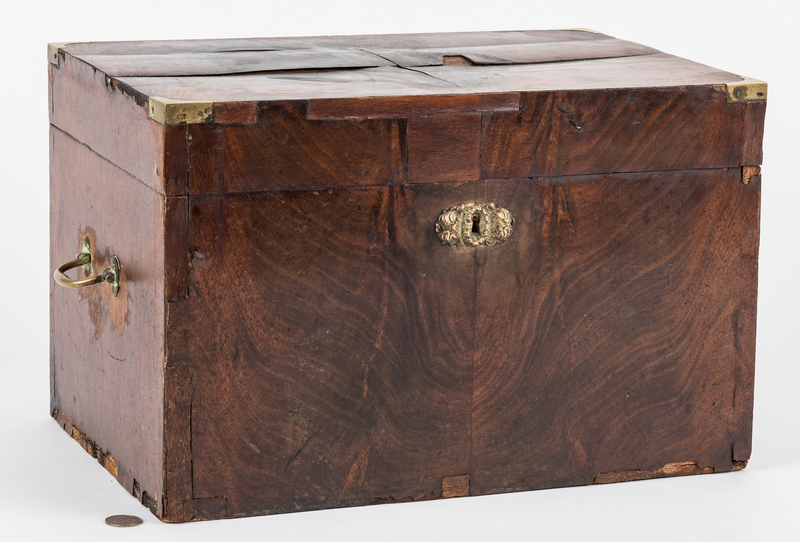 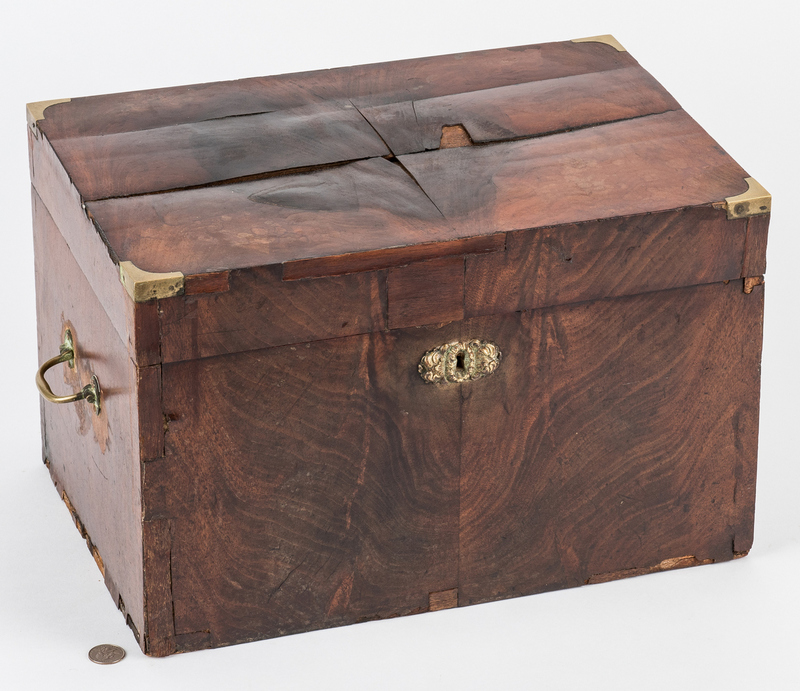 19th century sea captain's liquor or brandy chest, found in Baltimore, Maryland, possibly Merchant Marine. 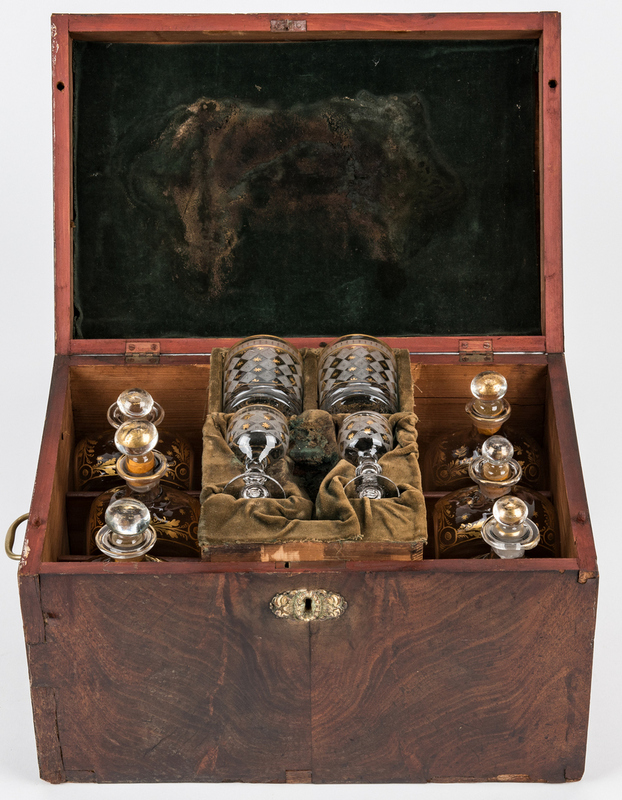 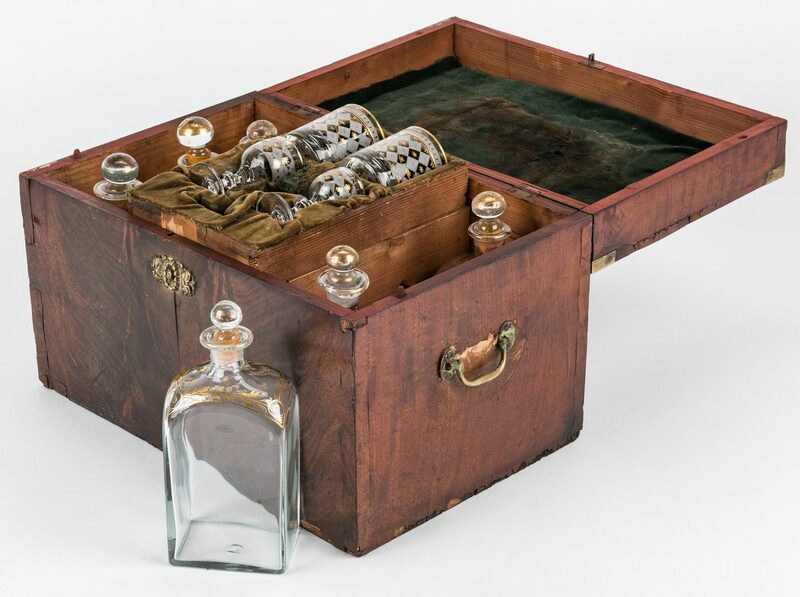 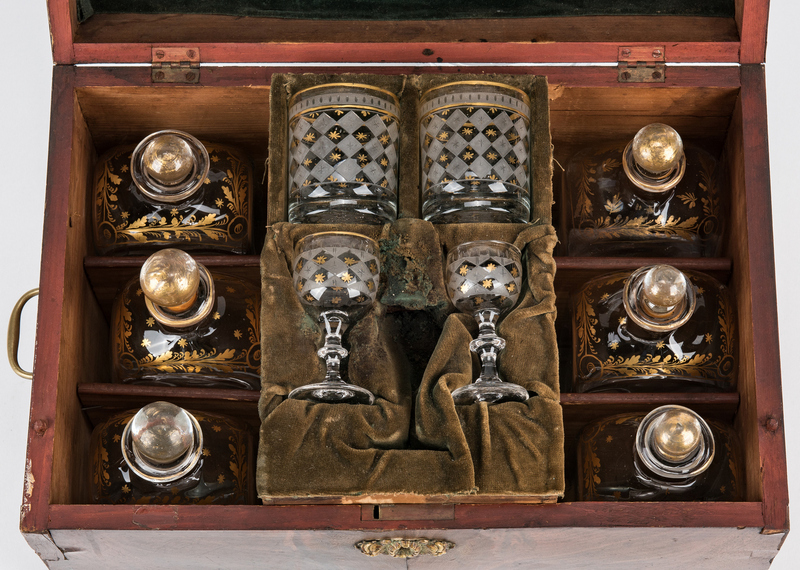 Chest comprised of mahogany veneers with brass corners and hardware, interior fitted with twelve compartments containing twelve various sized blown glass bottles with half post stoppers having gilt foliate and star decoration and a velvet lined insert containing two etched and gilt blown glass tumblers and two etched and gilt blown glass cordials. 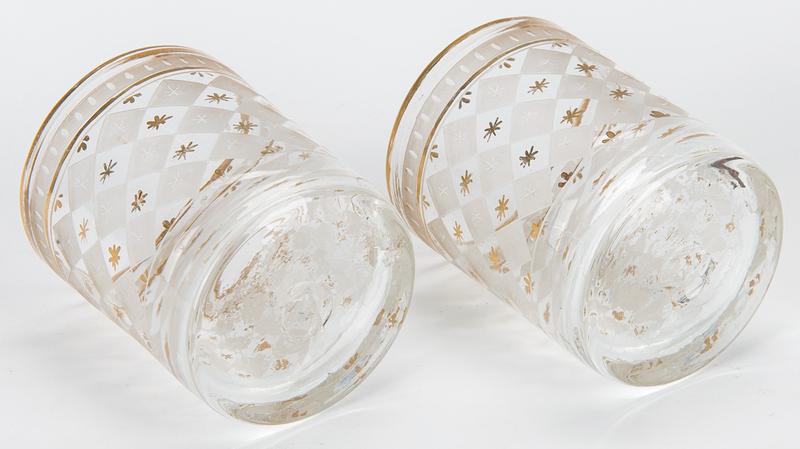 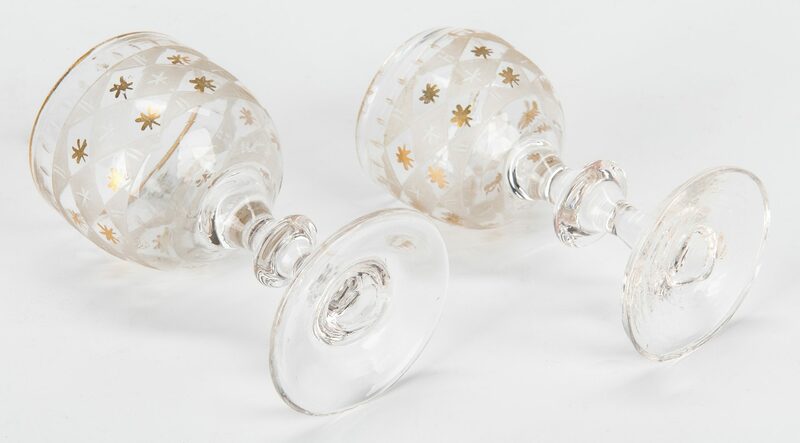 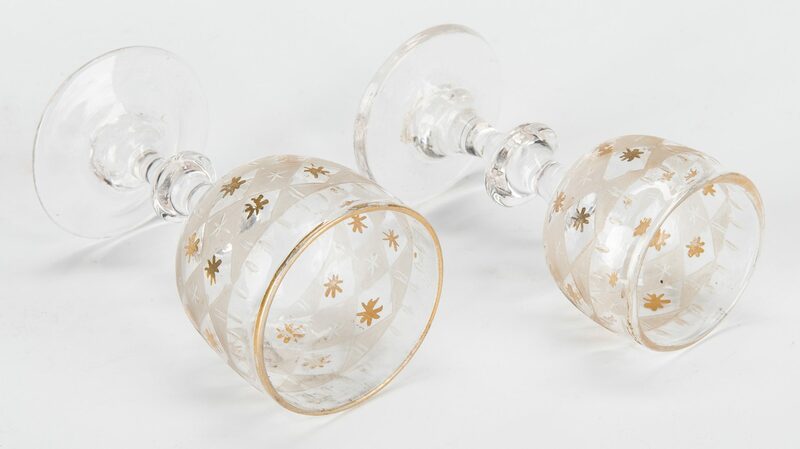 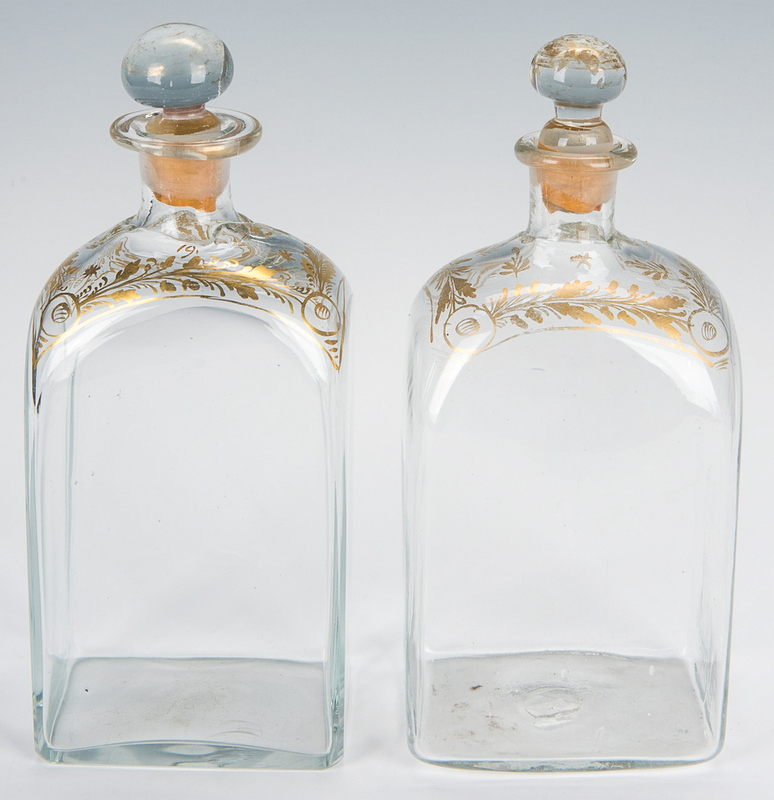 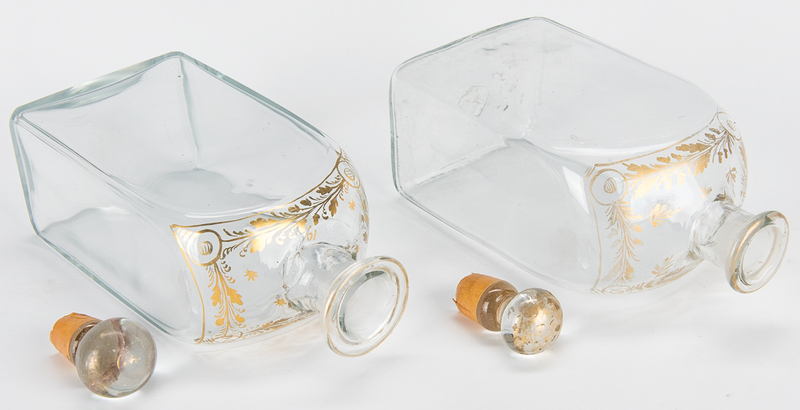 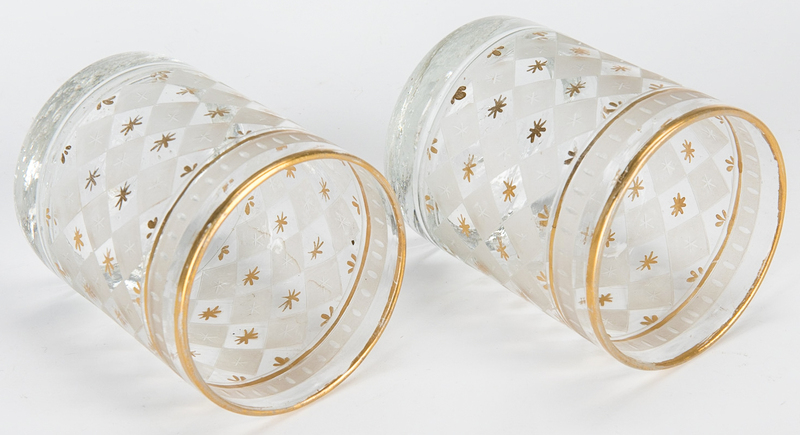 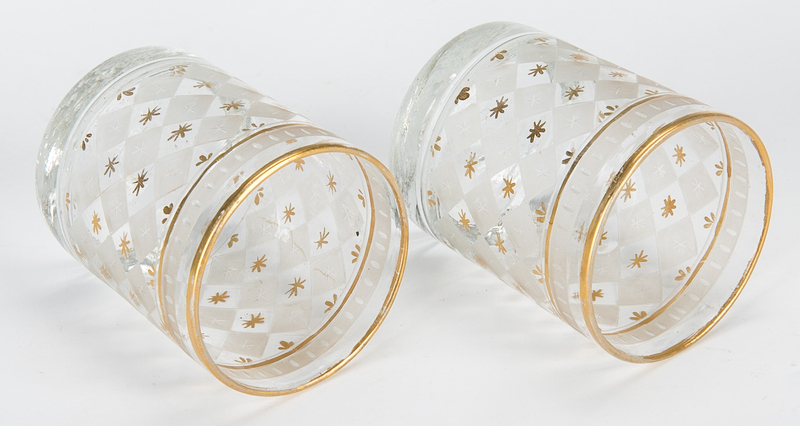 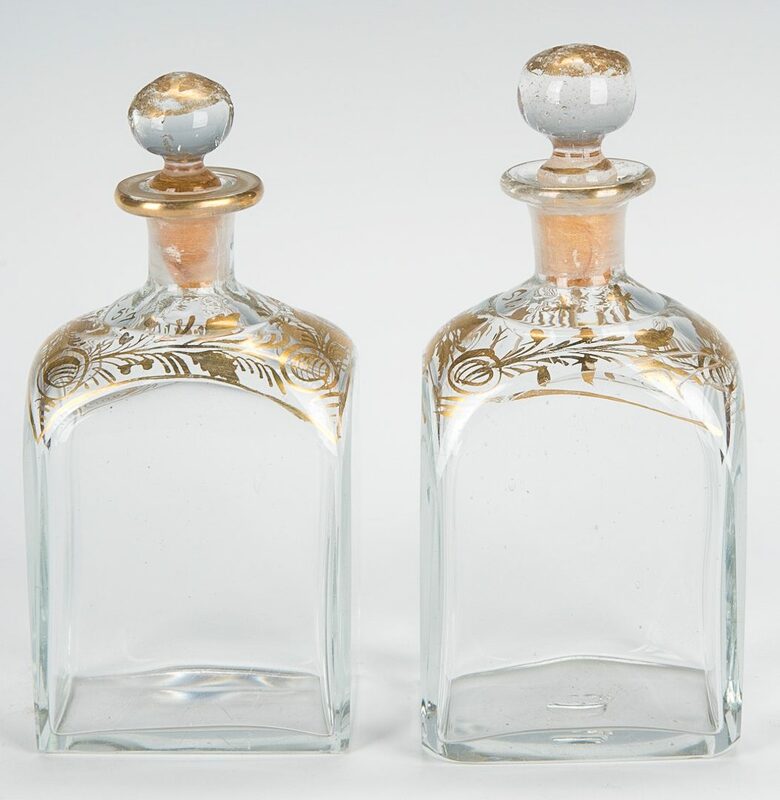 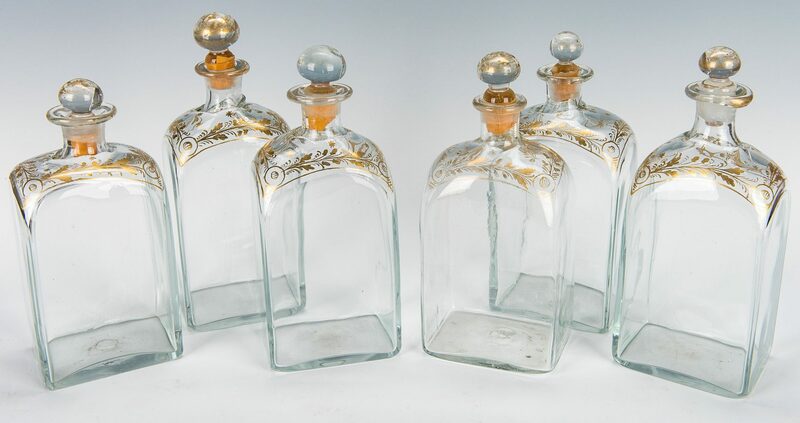 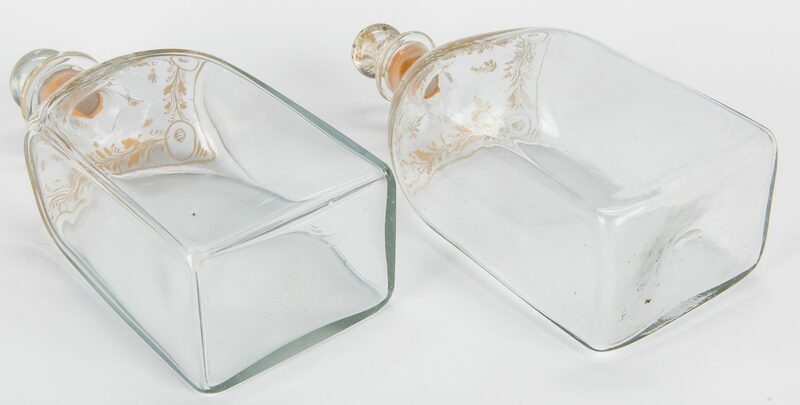 Bottles range in size from 5 1/2" H to 9 1/2" H. Tumblers – 3" H. Cordials – 3 5/8" H. Chest – 11" H x 17 1/8" W x 11 3/8" D. Provenance: Estate of Martha Lyman, Dayton, TN. 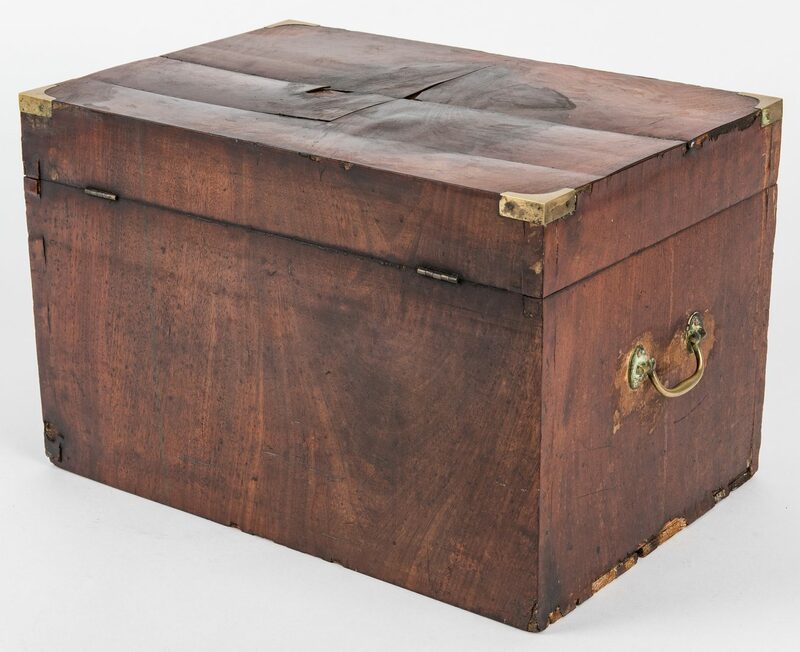 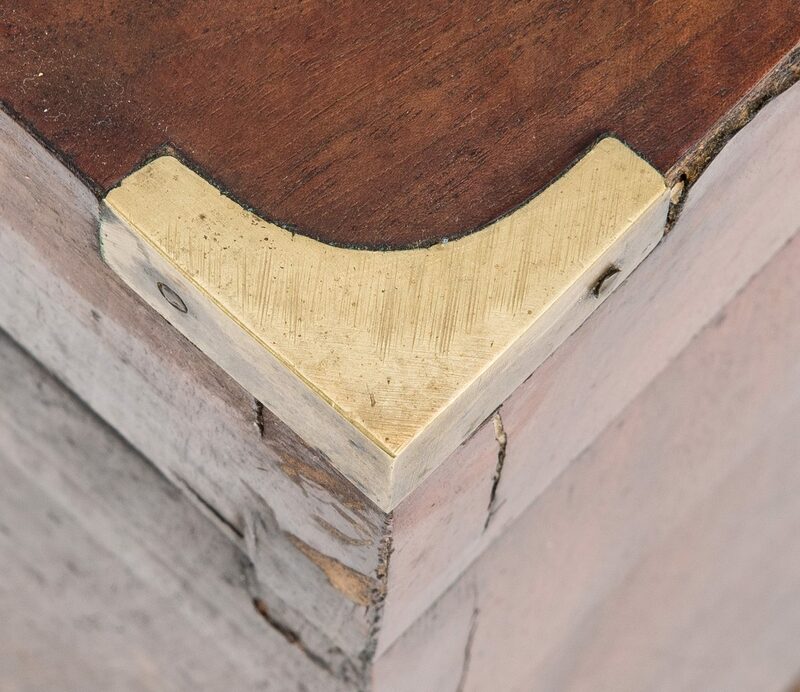 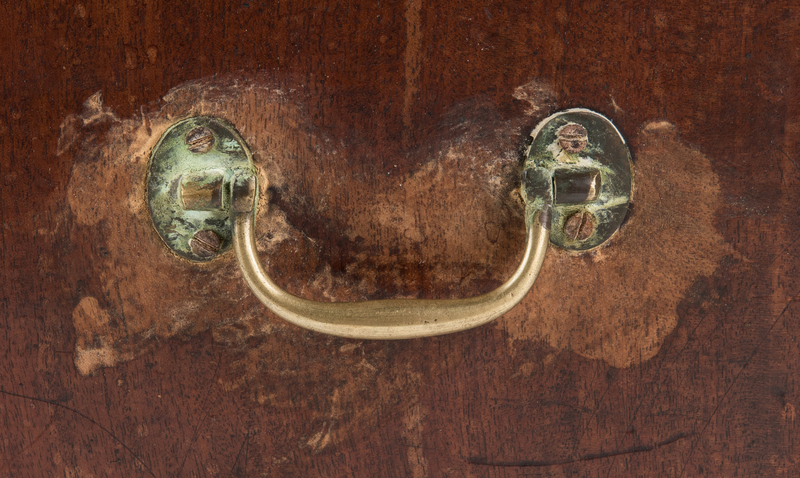 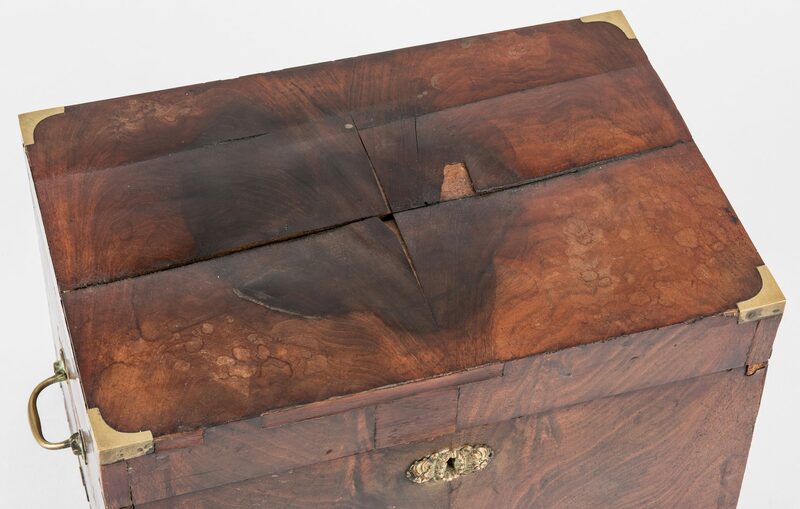 CONDITION: Chest with warpage, wear, patches and losses to mahogany veneers, interior velvet to top stained and worn. 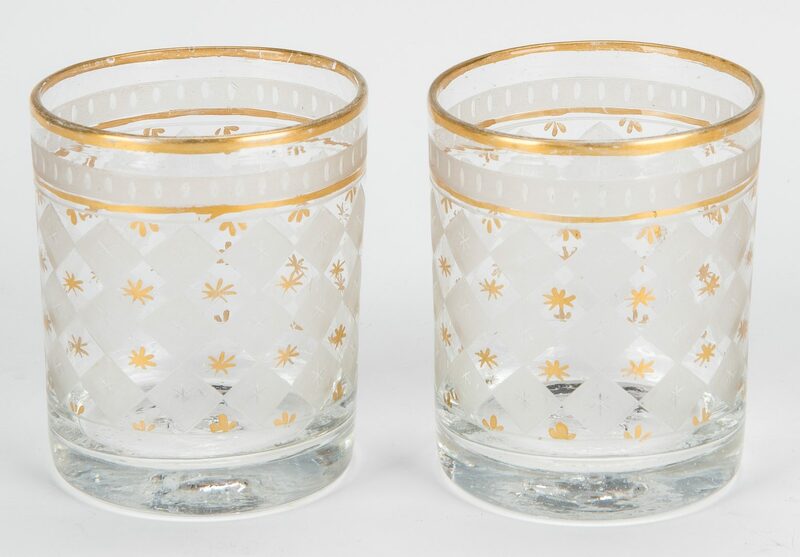 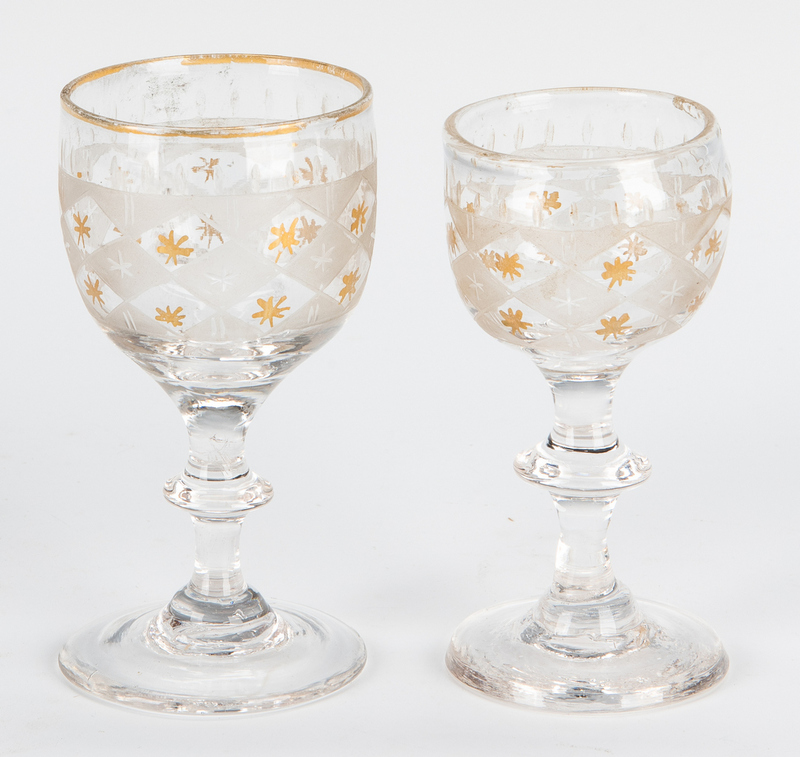 Glassware overall very good condition, one cordial appears to be missing.